In February 2003 I started dating an American, we were both living and volunteering for a youth organisation in Newcastle, NSW in Australia. I hail from Perth, WA and my then boyfriend from Pennsylvania. We were from completely different worlds, so different in so many ways, although that made things challenging sometimes, most of the time it worked, and it worked well. We were young and excited and dreaming big dreams of what life would hold. A few months into our relationship we invested in a car, we didn't have a lot of money, which meant we didn't have a lot of options. 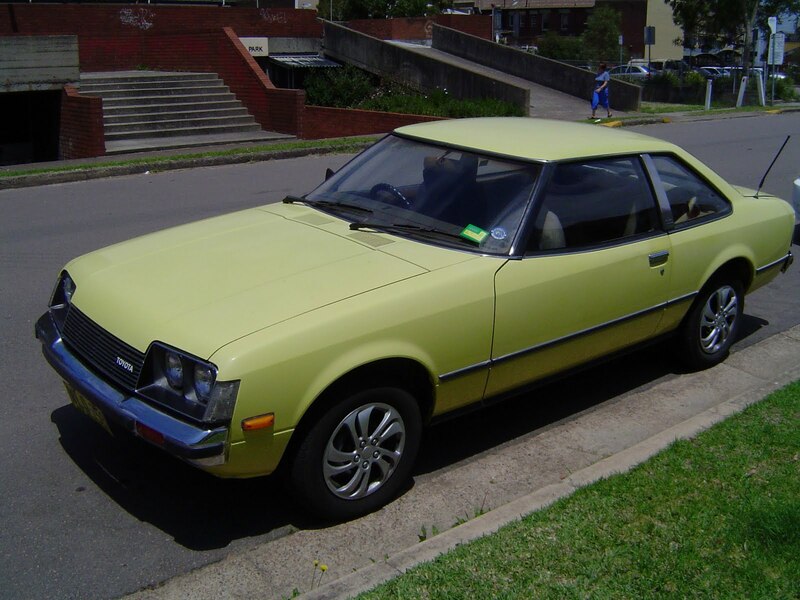 One day whilst perusing online car databases I saw this Canary Yellow, 1979 Toyota Celica, and got really excited, it was exactly what we were looking for, and best of all it was cheap, only $1500. Later that day we dro ve away in our own car. Ok really my boyfriend bought it, but because he wasn't an Aussie, technically it was in my name so I claimed that I owned it, so therefore it was ours. I have such great memories of this yellow car that we named Dandy. I remember running out of fuel often, because the fuel gauge was completely off. I remember it being stinking hot in the summer because the a/c didn't work. Most of all I remember the great times we had cruising around in that car, sitting at the beach at night and just hanging out and talking, and getting to know each other. We dreamt together about the future and what might be. In April 2004 we got married. We rented a small one bedroom unit and continued to drive around our faithful Dandy. She didn't have all the extras, but she never broke down, and managed many trips down to Sydney without any drama. Although, once she didn't start right away on a steep hill and I rolled backwards into the tree, unfortunately she got a permanent dent in the chrome bumper, whoops, and I am still constantly reminded by my husband Joel about this event when we discuss driving skills. 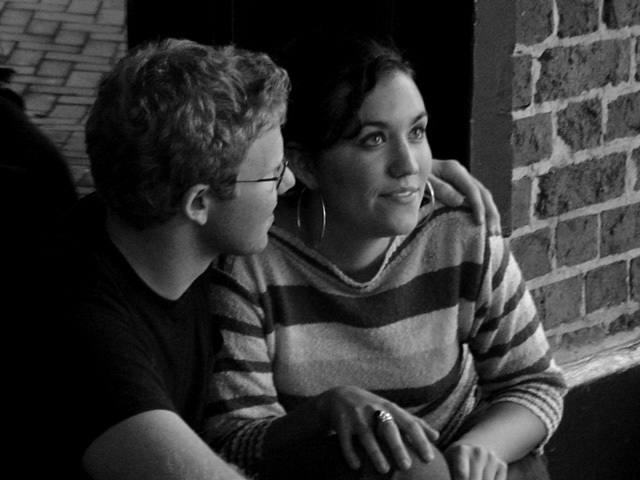 Eight months after we got married we packed up our little house, sold all our belongings and bought one way tickets to the USA. On the very last day we were in Newcastle we managed to sell Dandy, and the person who bought it got a very good deal, because we were desperate. It was a sad day saying goodbye to our old little car, that held so many great memories. One of the most exciting times in life is when new love is blossoming, and every time I think back on this time when Joel and I were getting to know each other and falling in love. So many of the memories contain this yellow car, it might sound silly, but to me this car represents such a great, fun, extremely challenging and exciting time in my life. We had no idea what the future would hold, but we were preparing to face it together, head on. This is why my blog is called Yellow Dandy Dreams, because now we are living out the life that we were dreaming about, all those years ago sitting in the carpark at Bar Beach in our little Toyota Celica. 5 comments on "Yellow Dandy Dreams"
Welcome to the blog world :) Can't wait to read more! What a great story! I get emotionally attached to cars to because each one I've had represented a part of my life. My single girl car, my mom of babies car, my single mom car that drove everyone to a million activities, etc. I'm always a little wistful when I have to trade in a car because I feel like I'm ending a part of my life and starting a new chapter. Karen it is so wonderful to read about your blooming love with Joel and how the car is in so many of your memories. I have this with Paul and the canal in Montreal, we would always walk home from work together down the canal just talking and dreaming of all the things we want to do with life. I have so happy to get a little peek into your dreams coming true through your blog. Hope you are doing wonderful down in Aus!